The newest documentary in the URI Today series features the University of Rhode Island’s Inner Space Center. 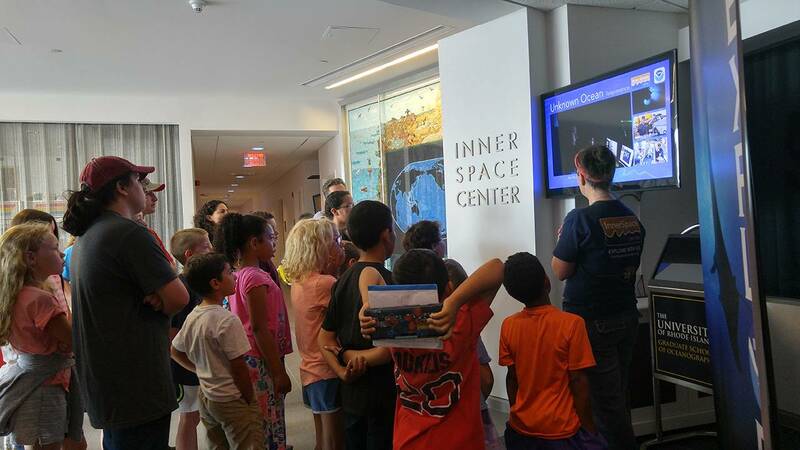 Since its launch by oceanographer Robert Ballard in 2009, the Inner Space Center has become an international hub for and international leader in ocean science research, exploration, and education. The Inner Space Center (ISC) is a unique part of the Graduate School of Oceanography, located at the University of Rhode Island (URI), and offers much to the practice of oceanography and sea exploration. Ballard already had an illustrious career before the center’s launch, having discovered the sunken remains of the RMS Titanic in 1985, among other shipwreck discoveries, but the Inner Space Center (ISC) is among the greatest accomplishments of his career. The ISC offers a variety of facilities and services for use, but the most impressive must be their use of telepresence technology that allows them to broadcast their explorations around the world. The objective is to increase accessibility to ocean research and discovery, so that more people can see their findings. As of 2013, the ISC serves three ships in the U.S. research fleet: URI’s E/V Nautilus, NOAA Ship Okeanos Explorer, and R/V Endeavor. These three ships go on different expeditions around the world, and observers can actually watch what the Nautilus is doing online via nautiluslive.org. In August 2017, a crew from the Inner Space Center will embark on an expedition through the Northwest Passage aboard tall ship SSV Oliver Hazard Perry. The historical passage through the arctic is a collaborative effort among URI the ISC, URI’s Graduate School of Oceanography, the film company, David Clark, Inc., the SSV Oliver Hazard Perry, as well as six U.S. Minority Serving Institutions (MSIs). The crew will consist of both undergraduate and graduate students, scientists, the actual ship’s crew, and the film crew. The idea is to give students a hands-on experience in the world of ocean science. This expedition will be broadcasted live. URI Today: Inner Space Center will air as part of the ongoing Rhode Island PBS series, Rhode Island Stories, a collection of independent films that showcase the people, places, and events that shape life in the Ocean State. URI Today: Inner Space Center airs on Thursday, June 22 at 8 p.m., Saturday, June 24 at 11 p.m., and Sunday, June 25 at 7 p.m.